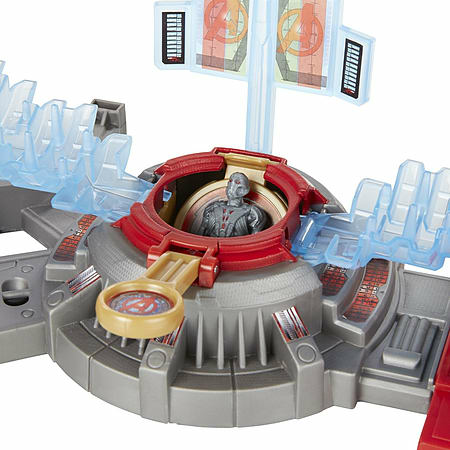 Iron Man launches a missile as Ultron attacks his lab! Can Iron Man capture Ultron and bring his foe's destructive plans to an end? 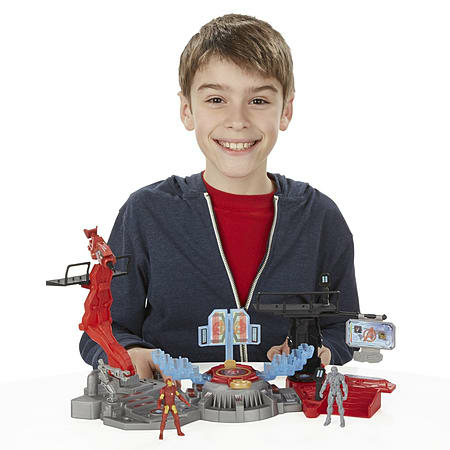 Reimagine the action with the Iron Man Lab Attack playset. 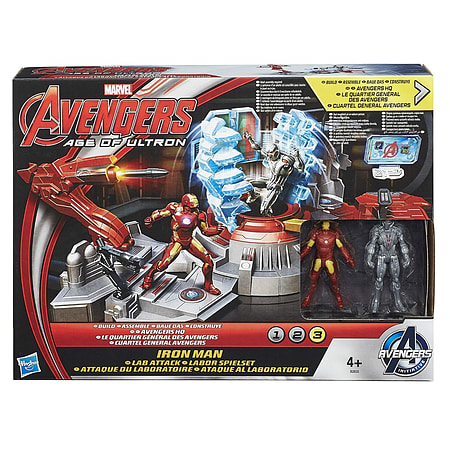 Iron Man will stop at nothing to defeat Ultron and his forces. Join in the fight by defending the lab with Iron Man and his launching missile! Copyright Marvel. Hasbro and all related terms are trademarks of Hasbro.